Early in September, it was announced that DS Plus and PlusCoin were joining forces with ICOBox. ICOBox is a provider of technical, legal, and marketing services for only the best and most popular ICOs. Since that time, the PlusCoin ICO has gone off without a hitch, and almost three and a half million dollars worth of PlusCoin tokens (PLC) have been sold. The partnership has brought benefits to both sides. DS Plus has benefitted from ICOBox’s help in forming and implementing an effective marketing strategy for the ICO and the project in general. In working with DS Plus, ICOBox has been able to help to spread blockchain technology to some of the world’s largest multinational brands – enterprise partners of DS Plus – including KFC, booking.com, and Reebok. 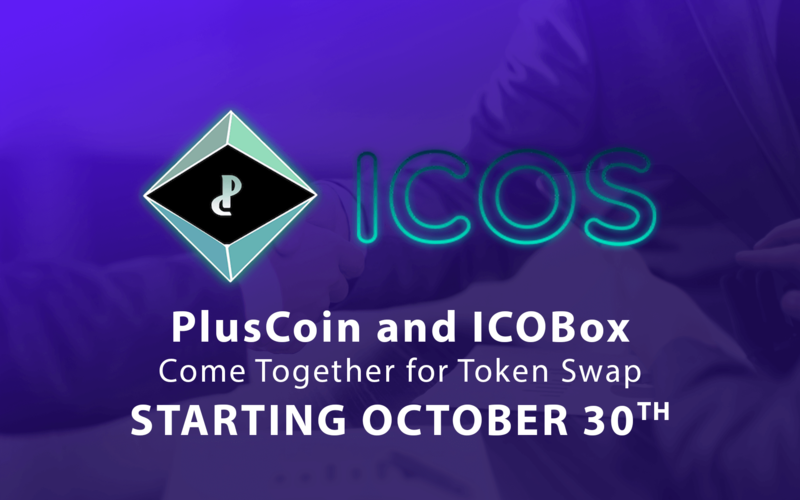 Now, the DS Plus and ICOBox teams are proud to announce that PlusCoin is becoming a part of the ICOBox Interproject Token Swap (IpTS). ICOBox itself is a blockchain-based service, and operates using the ICOS token. Starting November 30th, it will be possible to obtain PLC tokens in exchange for ICOS. The IpTS program is essentially a private peer-to-peer exchange between ICOS token holders and new projects. If you are an ICOS token holder, you are about to have the fantastic opportunity to purchase PLC tokens. If you are a PLC token holder already, you can rest assured that PlusCoin is in good company among the best projects out there, and that DS Plus is on track to be one of the most successful projects to have launched in 2017. The sale begins on October 30th, 2017 and will last until November 2, 2017 – a total of 96 hours. PLC tokens will available with discounts of up to 75% off for ICOS token holders. The exchange rate for the ICOS token is .04 BTC. PlusCoin is currently in the third stage of its ICO, and each token costs 13 USD. If you do the math, considering the current value of BTC compared to the dollar and the 75% discount, you can see for yourself that this is really a great deal! Open the menu by scrolling over your email, in the upper right hand corner of the screen. In your wallet, use the calculator to determine how many iCOS you would like to spend and how many PLC you would like to receive. Please note that the exchange does not occur instantly. 96 hours after the launch of the IpTS, the PlusCoin platform will take the user applications for exchange. If the quantity of PLC demanded by ICOS token holders is higher than the actual quantity available, then the PLC tokens will be distributed proportionately to the volume remaining. In this case, excess ICOS tokens will be returned. If not all PLC tokens are redeemed, then they will stay on the platform until the end of the project, and ICOS token holders will be able to exchange their tokens for PLC at any time. The upcoming swap is just one more example of how PlusCoin has already proven itself to the cryptocommunity as one of the most promising ICOs of 2017. The People’s Cryptocurrency is well on its way to revolutionizing eCommerce.